Seawater Probe at Bodega head. 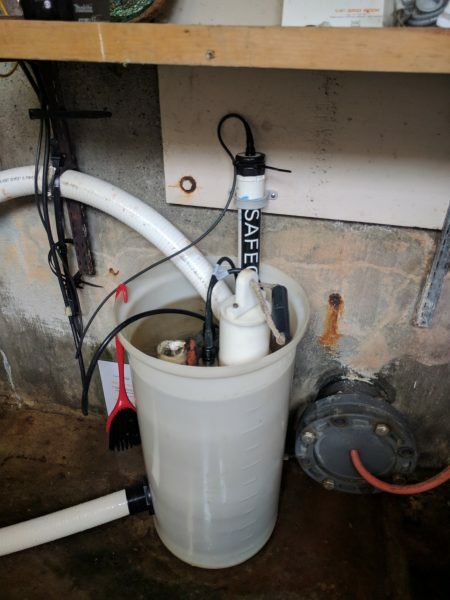 The probe failed sometime in 2017 due to water infiltration, and was repaired and reinstalled on September 09th 2017. The former probe readings can be found here. Seawater Probe conversion factor is 960 CPM per µSv/hr. Geiger tube is the LND 78017. Note that CPM readings will be higher relative to North American terrestrial sensors, because the tube used for this Seawater probe is more sensitive than most. Please refer to the µSv/hr reading for comparison purposes. The probe is installed along with several other sensors in a sampling bucket with a constant sea water flow. You can find real time readings for most of these sensors on the BOON page hosted by UC Davis. We published a blog post on the installation of this sensor where you can find more pictures of the site. 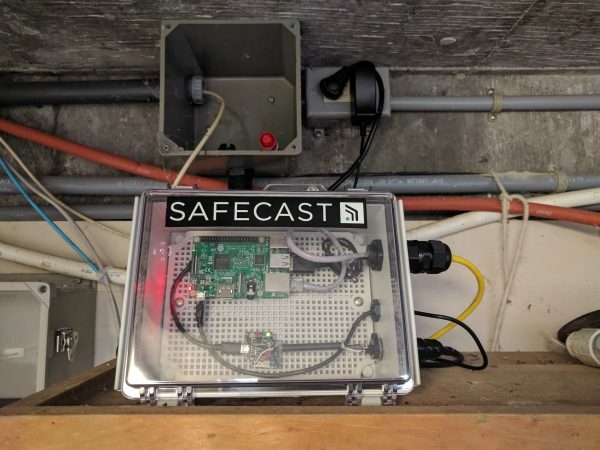 The probe is connected to a box running a Wizkers.io server that forwards the data directly to the Safecast API. Wizkers.io station connected to probe at the BML. Hi Petr, you can look up the specs for the LND 78017 (http://www.lndinc.com/products/406/) which contain a lot of what you are asking for in terms of sensor response. The probe measures radiation in sea water in the bucket + immediate environment, there is no background correction applied. – for what type or ionization radiation (alpha, beta, gamma, neutrons, etc.) and what energy spectrum etc. is it valid? – what is the uncertainty of this calibration? – are some background data available? – is the background stable in time or fluctuate?